I found Beth on instagram after she followed me, as well as on twitter. During April I've been loving her blog as she's super down to earth and posts some great advice pieces, for example what to do when you're unemployed and why alcohol isn't a necessity. I'm really enjoying getting to know smaller bloggers like myself and she's such a good beauty and lifestyle based blogger. Her lipstick comparison posts are great as she has pale skin like me (which means I get some fantastic lip colours) and I've also been enjoying her travel posts as she's visited Amsterdam, a city that I'm desperately dreaming of visiting. I'm such a nosy person that I love blogs where you get to see snippets of a persons life, such as Beth's mac lipsticks collection or her skincare favourites of the month and I would highly recommend looking at her blog! I found Soph's blog through twitter (my new favourite app to find other bloggers) and I've been scrolling through millions of her posts ever since. As I've previously mentioned I'm massively nosy so I love get a look into other people make up collections; she has some incredibly detailed posts of her collection which she's broken down into eyeshadow palettes, lipsticks, highlighters, blushers and bronzers (etc.) which are great as they feature mostly drugstore products which are super affordable. I also really loved her book reviews as I've read many of the books too and enjoy seeing different opinions to mine, as well as discovering potential new reads. Soph is also incredibly supportive of other bloggers, myself included for which I would really recommend following over social medias! I found Amy and her blog through instagram and I enjoy her posts as they're most beauty related; whether that's skincare, make up or focussing on specific brand testing. Aside from beauty, her posts also cover lifestyle, for example apps you need as a blogger, what blogs she's loving and monthly favourites, as well as dabbling in fashion and music. I like that she writes about items that she's really into, for example what make up she likes regardless of the price; her £1 liquid lipstick collection was a great post as it shows that it's not all about how much you spend but about the quality of the posts that you write. I've been following Paige and her blog for at least the last two or three years now, which seems like such a long time when it's written down! It's been nice watching her grow so much in past year in particular and recently I've been loving her music and fashion posts. 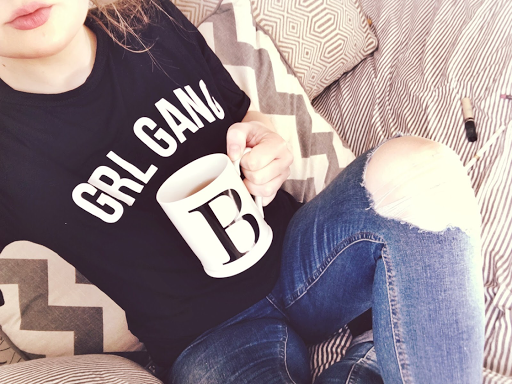 Ever since I discovered blogs, back when I used to be afraid to start my own, I always liked bloggers who posted mainly DIYs and personal style at the heart and as a fashion student Paige always has, and often. At the minute I'm enjoying her lifestyle and interior posts, seeing how she's restyled her bedroom and desk space. Paige's blog definitely inspired me to start blogging myself and I would definitely recommend following her on all of her social media as she's so friendly and approachable. As the name of the blog suggests, Louise is a beauty blogger and regularly posts make up hauls. 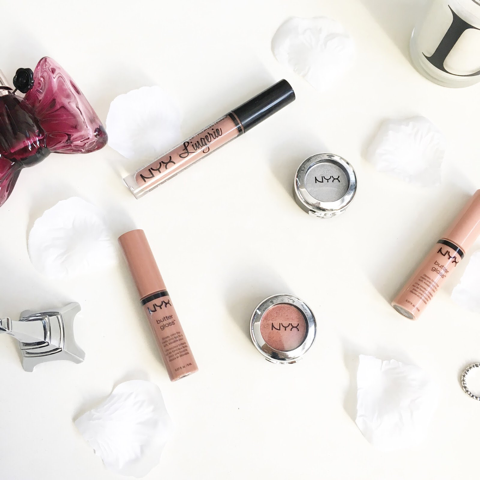 One of my favourite posts was a NYX haul, a good drugstore and most importantly, affordable brand. Alongside make up hauls, she also posts what her favourite ever products are, reviews of new make up products from well known brands such as L'Oreal and some travel posts, such as a weekend in Brighton. I life how she features lifestyle posts every so often, like 20 things you've learnt over 20 years. I've only recently found her blog and social media, but I enjoy seeing little snippets of other people lives particularly when it involves beauty and fashion, which is why she's been included in this post.